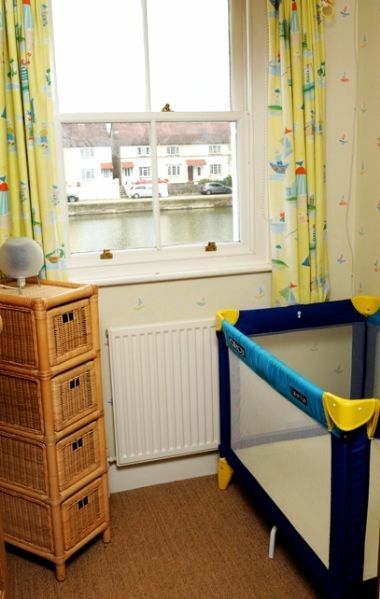 This harbour-front cottage boast lovely sea views, high quality interiors and fantastic location within a few minutes scenic stroll of heart of the pretty village of Emsworth, all of which combine to make it a real find, but its the added bonus of the long list of useful nursery gear, books and toys provided that makes it all the more special to BFB. 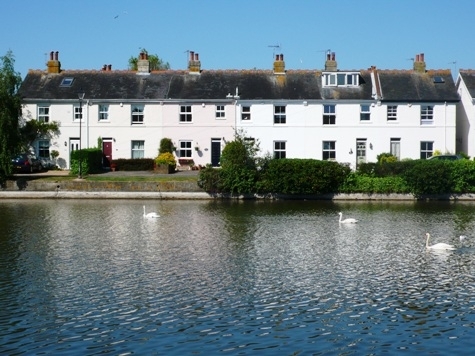 The 3-4 bedroom cottage (three doubles & a cot room) is a lovely semi detached period building set overlooking a millpond, just a short stroll along the harbour wall to the charming independent shops, pubs and bistros of Emsworth, a historic market town. Mini guests will lap up the opportunity to scavenge for sea life on the harbour beach when the tide is out and frolick in the lovely enclosed garden, which is a real sun trap and has the benefit of access via wide sliding doors from the kitchen dining area where grown-ups can supervise whilst cooking up a storm in the well-equipped kitchen or enjoying a chat and a glass of wine at the dining table. 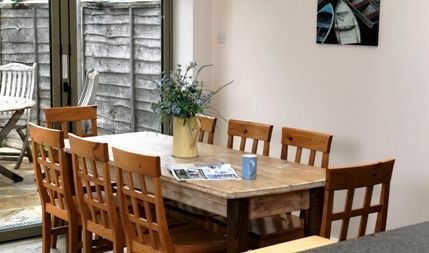 The house has recently been lovingly restored and decorated so that it is now very well furnished with modern furniture and fittings, which compliment its abundant charm and character. 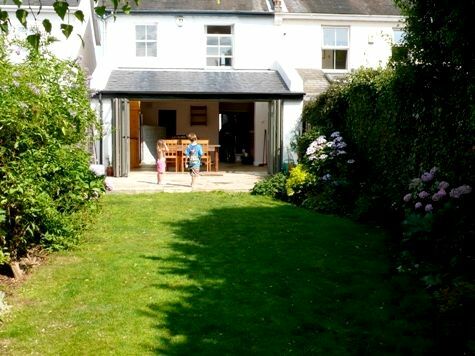 Long leisurely summer evenings can be whiled away in the garden, whilst cooler nights will see guests snuggled up on the sofa in front of the romantic open fire (fire guard available). On the ground floor there is an entrance hall, a cosy sitting room with open fire, TV and DVD, a downstairs toilet, a large fully equipped open plan kitchen with a sunny breakfast/dining area seating 8. This area has full width sliding doors opening out onto the patio area and charming garden, which is safely enclosed and comes with outdoor dining gear and a handy sun tent. 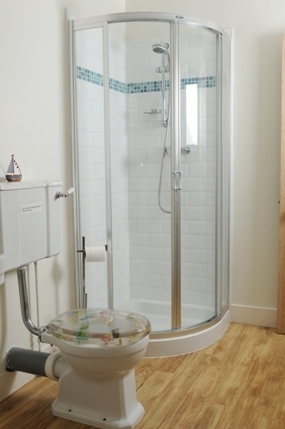 There is a small utility area with washing machine/dryer and cupboard space. 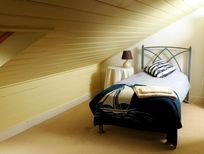 On the first floor there is a good size bedroom with double bed and a master bedroom with gorgeous water views and a Kingsize bed. Both have room for a cot. The bathroom has a bath and separate shower. There is also a small cot room where an infant can sleep. On the top floor is a generous third bedroom with twin beds. Parking is available directly outside the property or down the adjacent road. ALthough, its worth noting that, with a train station within a short walk and regular services from London (65miles) and the South Coast, there's little need to use a car when staying at 30 Bath Road. The house is set within a few minutes walk along the harbour wall from the centre of Emsworth. 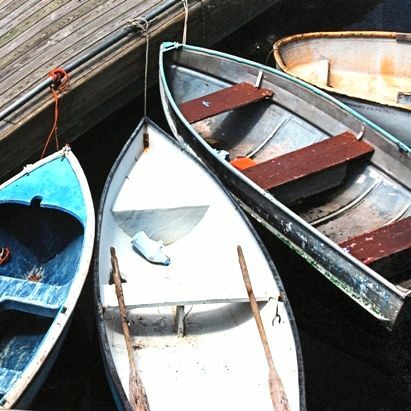 Positioned at the top of Chichester Harbour, a designated area of outstanding natural beauty, Emsworth is very charming and historic market town which is popular with families, sailors, walkers and artists. Emsworth has an interesting history, with a long established reputation for oyster fishing and boat building it still boasts traditional boat builders and chandleries. The sailing clubs are thriving centres for sailing enthusiasts and the pretty streets have a fascinating mixture of different architectural styles. It remains a bustling village centre with independent food shops and more specialist antique and bookshops. There are some lovely pubs and great restaurants catering for all tastes and budgets. A gentle walk around the village, which has superb harbour views, gives a genuine feel for the past. Chichester Harbour is the second largest natural harbour in the UK, it is a safe and varied sailing area with waterside pubs and extensive wildlife including a seal colony and variety of wading birds. The harbour is a Mecca for water sports of all kinds giving access to the Solent for yachting enthusiasts, Hayling Island for kite surfing and windsurfing and Langstone Harbour for waterskiing. Portsmouth is in easy reach to the west – approx 15 minutes by car or train. Chichester is a similar distance to the east. It is an historical city surrounded by beautiful countryside and the South Downs. It has a thriving shopping centre and world famous Festival Theatre. Goodwood on the South Downs above Chichester, hosts regular horse racing and motor racing along side classic car events. Emsworth enjoys excellent car, rail and bus links. It is within 3 miles of the A3 and A27 and Emsworth station has regular trains to London, Brighton and Southampton. London is just 65 miles away. 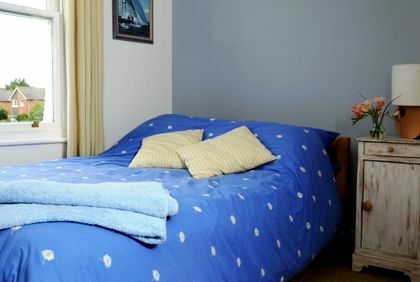 20 minutes from the main international ferry terminals of Portsmouth and 40 minutes from the recently refurbished Southampton International Airport. We are based on the south coast now, having moved from London 4 years ago. We are parents to 3 children aged 5, 7 and 9. We have always loved Emsworth and its coastline and are keen cyclists and sailors. When in London we came down every weekend throughout the year, in just 1 hour 15 minutes by car . The opportunity came to move down permanently and we jumped at it! Christmas time and winter is as enchanting and as fun filled as the summer months, there is so much to do. The children are never happier than when sailing in the harbour, playing on the beach or having delicious locally made ice creams along the harbour wall. Emsworth has such a warm and wonderful feel about it. It is similar to a Cornish fishing village but a lot more accessible. Once you have spent time in the village you just want to keep coming back, we did! The cottage is in the perfect location in the village with beautiful water views and within walking distance from everything. The children spend hours feeding the ducks and swans on the mill pond right infront of the cottage. The walks along the coastal paths and around the harbour wall into the village are breathtaking. There is a huge array of bird life to watch in and around the water's edge and millpond. Emsworth is a wonderful village, full of small shops selling everything you might need for your stay, including two fabulous butchers, a fishmonger, greengrocer, banks, hardware store, gift shops and chemist. Once you have arrived there is no need to get into your car again. The village has a variety of award winning restaurants, cafes and pubs. It sounds big, but in fact it is a small picturesque village centre, full of life. There is a whole host of activities available to amuse adults and children alike in all weather conditions. The cottage itself is deceptively spacious, accommodating 6 adults easily. The sofabed in the lounge allows space for 2 more adults and there is a cot room on top of that! Front and back gardens are totally secure so you can let your toddler roam around without having to watch them. There is a wendy house, tricycle and other childrens toys in the lovely sheltered west facing garden. 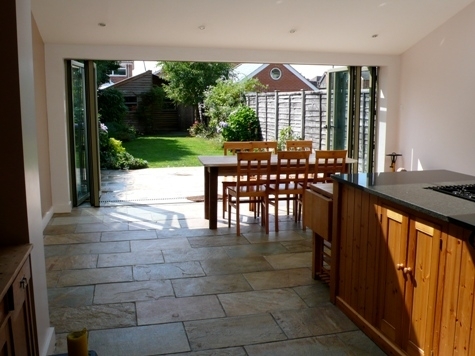 You can allow the garden to be a seamless extension of the kitchen-breakfast room if you open the folding doors fully. 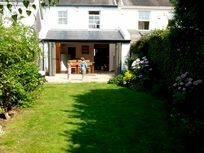 We love to sit in the warm evening sunshine enjoying a cool glass of wine while the children amuse themselves in the garden or house. The children love the security of the house and garden. There is a whole host of toys for outdoor and in door amusement. 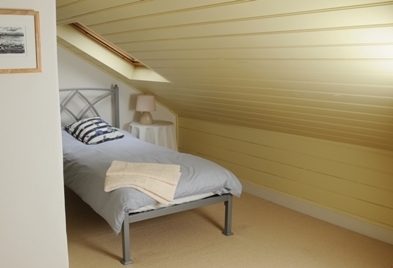 The attic room is perfect for older children to feel they are away from all the adults in a space of their own. Feeding the ducks and swans in front of the house is an obvious pleasure. The beach gives hours of fun swimming, sailing, canoeing or just playing. When the tide is out, catching crabs with bits of string and bacon is a favourite past time or running along the foreshore to the woods to climb trees. There are miles of coastal or inland tracks for walking or cycling from the cottage. My kids love to scooter or run around the harbour wall to 'Flintstones' who sell the best locally made generous ice creams, alternatively in winter, they go to 'Heidis' bakery for their soft gingerbread men. Taking a trip out into the harbour in the glass bottom solar powered boat is always a winner. Further a field you can walk to the train station and catch a train straight into the heart of the historical Portsmouth dockyard and visit HMS Victory, Warrior or the Mary Rose. Gun Wharf Quay offers restaurants, bars, the Spinnaker Tower and outlet shopping. The Isle of Wight is within easy reach by ferry or hovercraft. The cathedral town of Chichester is just 20 minutes away with superb shopping. The Goodwood Estate is just around the corner with horse racing, car racing and the aerodrome and the list goes on. There really is something for everyone whatever the weather. 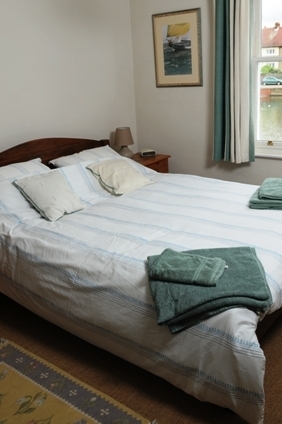 Sleeps 6 plus infants in 3 bedrooms, 1 master king with adjoining small cot room, 1 double & 1 twin. There are many lovely beaches just a short drive away. Set in beautiful waterside market of town of Emsworth with the centre of the village being within 5 mins walk. Bbabysittier and day time care available. Plenty of baby gear is provided including a high chair, cot, baby monitor,steriliser, potty, stairgate, socket covers, plastic crockery, cutlery, cups and black out blinds in two of the three bedrooms. 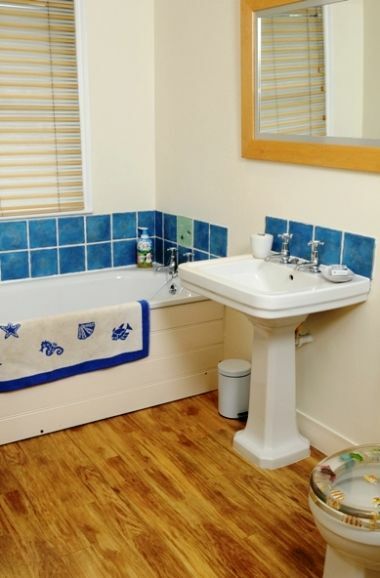 These two rooms also have space for additional cots. A selection of indoor toys, DVD's and books are available. A selection of outdoor play toys are available along with a tricycle, paddling pool, play house and sun tent. There is a west facing back garden with secure fence and garden fence an a secure front garden. Lovely location and lovely property. Great communication from owner. Would recommend. A really lovely property and a terrific location. We would book this property again. 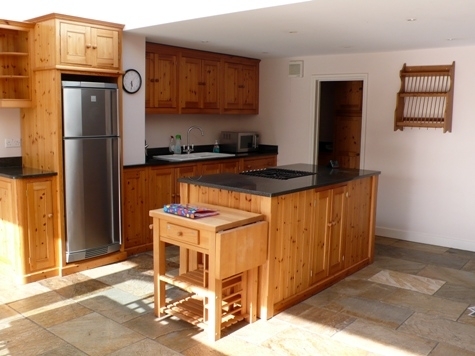 This is a wonderful property for families with small (and older) children. The kitchen/dining area and garden are particularly child-friendly, and the mill pond in front of the house provides plenty of duck feeding opportunities. 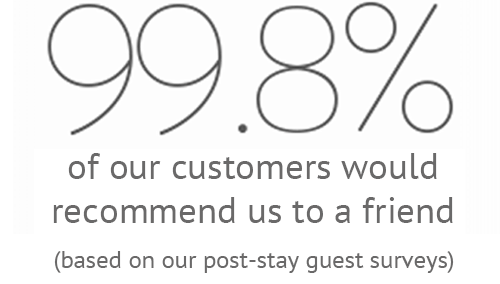 The owners were very helpful from booking and throughout our stay.